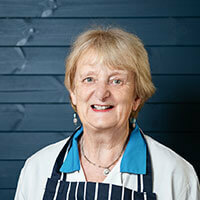 O’Mahony’s was started by Katherine O’Mahony in 1974. 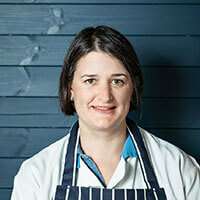 Since then her son Eoin and daughter Eimear have joined her behind the counter and become integral to the business. In addition to serving home cooks in our retail location, we supply meat to 20 restaurants in Cork City. We source from people that we know and trust. Our local farmers and suppliers are specialists in the meat trade who recognize quality. We know their standards match ours: meat with exceptional flavour and full traceability. We honour the traditions of our trade, but we’re not afraid to try new ideas when we see a way to improve. This approach has rendered our food waste to a negligible amount. It’s also inspired us to create markets for types of meat, like buffalo and goat, which are nontraditional in the Irish kitchen. After decades on the job, we’re as motivated as ever to send you home with an excellent ingredient. No matter if it’s a celebration or a quick weekday meal, we care about the quality of the meat on your dinner table. Katherine O’Mahony is the matriarch and proprietor of O’Mahony’s—or the anchor, as Eoin refers to her. Many a customer has benefited from her knowledge of ingredients and recipes. She loves getting to know her customers and watching their families grow. Eoin O’Mahony is dedicated to diminishing food waste by finding an innovative use for every part of the animal. He’s always up for exchanging tips and cooking ideas with customers. You might recognise his voice from his DJing and pirate radio days. For Eimear O’Mahony, working with her family is the best part of the job. She brings an eye for the finishing details—all of the floral and herbal garnishes come from her garden. When it comes to looking after customers, Eimear is our benchmark. Eddie Hackett loves his five-a-side and Pitch and Putt competitions, but he’s no stranger to a butcher shop, having worked in one since he left school. We’ve had him here at O’Mahony’s since 2014. 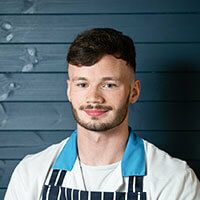 Calvin Morrissey started with us in 2011 as an apprentice, fascinated to learn about the different cuts of meat and how to properly prepare them. Now fully trained, he still remembers how welcome Katherine and Eoin made him feel from the start. 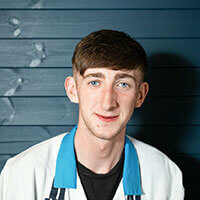 Kevin Quilligan is our current apprentice butcher. 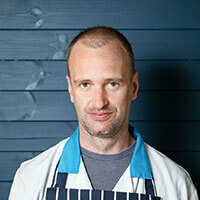 He entered the trade after his keen interest in hunting and fishing naturally led him to pursue a career in butchery. 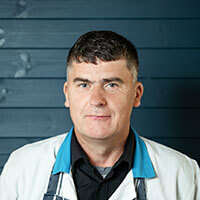 Previously, he worked at John O’Flynn & Sons butcher shop in Cork City Centre.